Hair Stylist Resume to Put Your Application on Top of the Stack! Your hair stylist resume isn't going to look like the typical resume you are accustomed to seeing. We are creative, remember? resume', n., A brief account of one's professional or work experience and qualifications, often submitted with an employment application. As a hiring manager, I want to know that you have creativity that will add value to my salon. This is our business. Our creativity is encouraged, not squelched. I want to know, through your hair stylist resume, that you are worth my precious time to interview. If you were applying for a job in sales you would want to show how you can sell by selling yourself through your resume. Your hair stylist resume is going to showcase your creativity AND sell you to an employer. Let me remind you how it goes for a hiring manager. I'm speaking about an average type of salon in Anytown, USA. (I'm not talking about a Robert Cromeans owned high dollar salon with a waiting list of apprenticeships and 100 applicants a day.) I'm referring to a typical privately owned salon or franchise salon. A new stylist comes in, fills out an application and leaves. That is 85% of what I have encountered. Very few have impressed me during an application process. Shoot, just having a resume when you start out puts you ahead of most others. 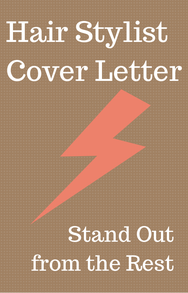 So not only will you have a hair stylist resume, you will also have a hair stylist cover letter and a page of references. I'm glad you asked. We are not going to do the standard blah, blah, blah. We are going to shake it up a bit with format and wording. You are welcome to do the standard resume format used by applicants everywhere. You can find some great templates out there online. And like I said, just having a hair stylist resume will be a bonus for you. But if you want to be better than outstanding by Standing Out, let me give you some food for thought. As you know by now, everything we do on Cosmetologist Life is to maximize your career and opportunities! STANDING OUT from the crowd is exactly what you need going on. Let me explain. When you get right down to it Starbucks sells a good cup of coffee. But that's mostly it, they sell coffee. However, it is now an iconic brand. People don't just buy a cup of coffee, they buy STARBUCKS. People don't say, "I'm going to get a cup of coffee. ", do they? They say, "I'm going to get a Starbucks." Do they have an OUTSTANDING product? Some say yes, some say no. But no one can argue that they STAND OUT. There are lots of talented stylists out there but very few STAND OUT. Everything I teach you is to help you STAND OUT. 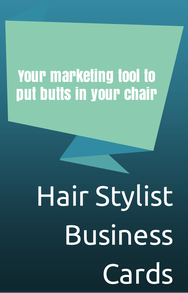 Your hair stylist resume is just one tool we use to do that. People are hungry to see things they have never seen before. Show me something I have never seen before and you have my interest. Back it up with talent and you have my support. I want you to have an online resume. This will increase your credibility in a manager's mind and give you an opportunity to showcase your hair skills. There are creative ways to give a manager a specific impression of you through an online resume. Check it out and you can see the possibilities. Imagine a hiring manager seeing your pretty, happy face describing your hair passions. Honestly, you can build it in an hours time, easy, and it's FREE! It can also help you in clientele building and branding. What Information is Needed on Your Hair Stylist Resume? Contact Information - Name, address, phone number, email, website address. You have to make sure they can contact you in any way they choose. When you include a website address they can't help but check it out! They will be very impressed with your initiative to have an online resume. Add a beautiful picture of you that shows your personality. Tailor your picture and theme of the website to fit the image of the types of salon where you wish to work. If you want to apprentice in a fancy pants salon, showing a picture of you full of facial piercings wouldn't match their image and you won't get a call back. Also, pink hair wouldn't fly. But if you want to work in a funky, midtown salon the pink hair and piercings may fit perfectly. You want a hiring manager to "see" you as a possible member of the team. Objective - I can go either way on this. I mean, if you are looking for an apprenticeship rather than your own chair, stating that would be a plus. But if you are looking for your first cosmetologist job I don't think saying that puts you in the best light. They will already know this. 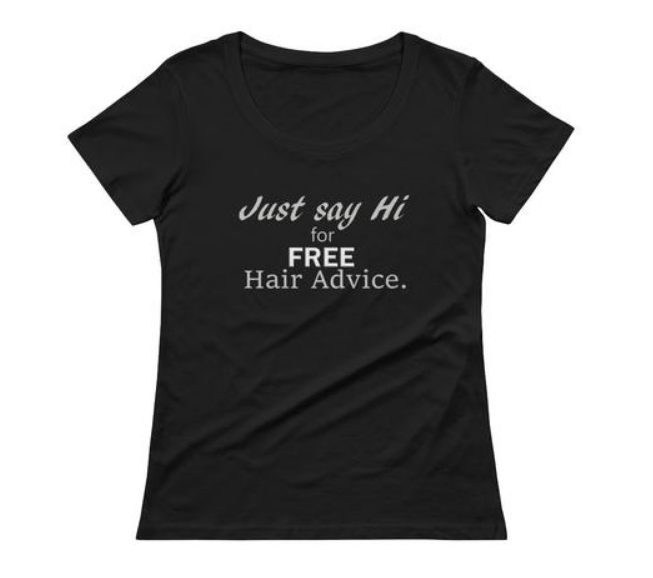 In your hair stylist resume we want to play up your strengths and downplay your weaknesses. I'm going to make a unique suggestion. Instead of 'Objective' let's try 'Unique Selling Point'. Let's tell them, up front, and in clear, specific terms. I am a very quick study and use my free time to further my skills and research hair techniques. I am great with time management, have years of customer service experience and a strong work ethic. I am passionate about all things "hair" but my true love is in hairstyling and updo's. My skills and love of the industry will be an asset to any salon. It's just a suggestion, but as a hiring manager I would much rather see that on a resume than "blah, blah, blah...I'm seeking a salon to start my beauty career...."
Using "Unique Selling Point" makes me think! Hey, this person is different and she told me what I want to know right up front. She has my attention. Back it up in an interview and she has my support. 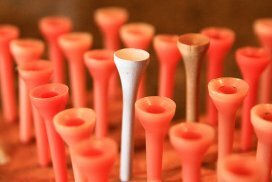 Are you starting to get the feel for "standing out?" How do you do it? By playing up your strengths. Working for a year at PetSmart and a year at Subway did give you 'years of customer service experience.' Being a babysitter/nanny while you were in school gave you time management skills and relationship building skills. Take your previous work experience and pull out the skills that will translate into salon life. Work Experience - I realize you may not have much to start with. If you have at least 2 jobs in your work history it will be ok. Include the place of employment, the dates worked an your job responsibilities. Try to have them parallel with salon life. Play up the similarities as much as possible. Relevant Experience and Accomplishments - Time to toot your own horn! Think, people, think! Do you have trophies? Whatever sport you play and win means you are focused and competitive. This means you will sell our retail. Did you win any awards in cosmetology school? Say so! I want to know. Did you organize an event? I want to know about it. You may have leadership qualities and I may need an assistant manager this year. You may have a skimpy resume because you are young and just starting out. But it's ok.
Be creative and play up your strengths. You will find you have much more than you imagined. Use that gift of creativity to prove to a hiring manager you are just the new hair stylist they are looking for. Make them want to invest in YOU. We talked about Look & Feel, or theme, before. You want any hiring manager to 'see' you as a possible member of her salon team. Everything you do when trying to land your first cosmetologist job MUST be congruent. In other words, your professional image, your look, your hair stylist resume, your online website.....everything.....has to give the same image and impression. So if you want to apprentice at La Bella Foo Foo Salon you need to portray the image of a La Bella Foo Foo Salon Stylist. You will dress like one of their stylists when you walk in to apply. You will dress like them when you interview. Your resume will reflect La Bella's image and so will your website. Everything works together for the good of your personal image. Put thought into all you do and I guarantee YOU WILL STAND OUT.